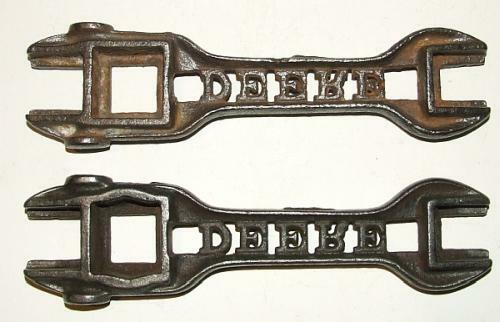 John Deere A196 double hammer cutout wrench. Uncommon. 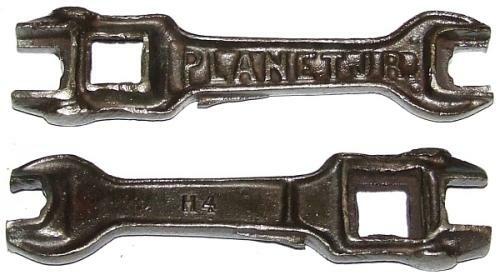 John Deere A196 double hammer cutout wrenches. 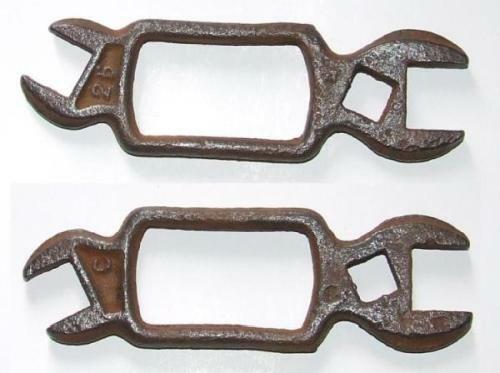 Showing two variations - note the shape of the large square socket - one has indentations in top and bottom, the other not. Are there any other variations out there? Both uncommon. John Deere A196 cutout wrench. Common. John Deere A196-A cutout wrench. 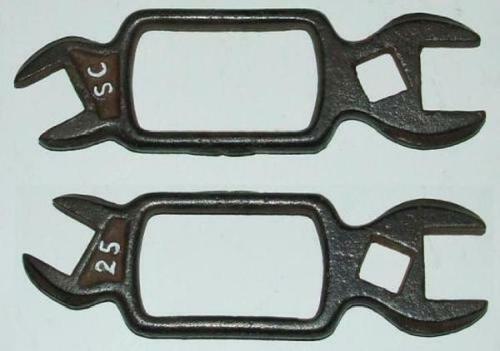 Syracuse SC 25 is wrench supplied with several cultivators, seen in a 1910 parts list (USA) and no doubt many others. Syracuse C 25 is wrench a varioation on the SC 25 seen above. We have not been able to find a listing for it - it may be a casting error, or an Australian production variation, 2 examples seen so far. 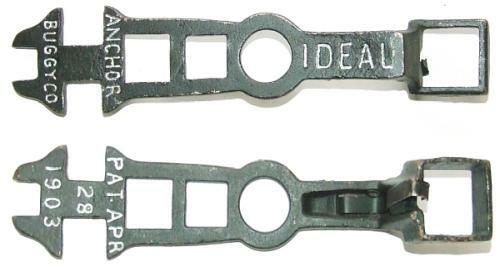 IDEAL buggy wrench Patent April 28, 1903. Showing both sides. 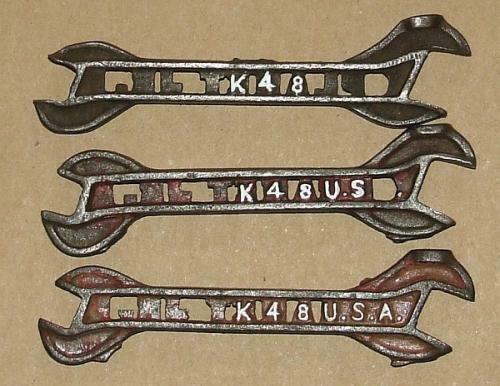 International Harvester Wrenches: 137-1/2E and 770 below. 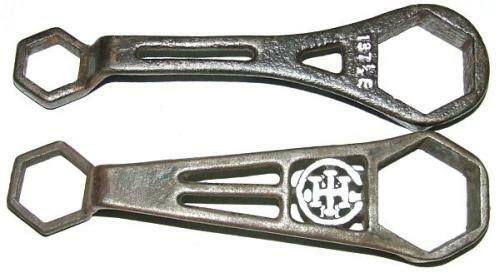 E39 cutout wrench by Iron Age - This is one of the three known variations of the E39 cutout, all similar shape. Compare it to the solid E39 which is quite diifferent - see below. 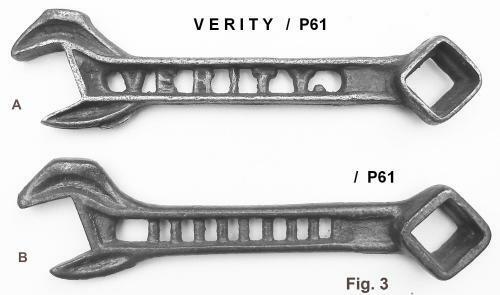 E39 Solid wrench by Iron Age - uncommon compared to the E39 cutout, which comes in three variations. See above for one example. 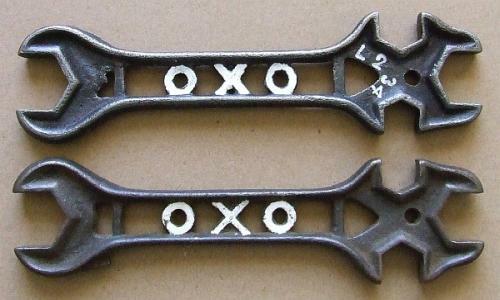 OXO L234 Cutout - by NOXON Brothers Mfg Co, Ingersol, Ontario, Canada. The company existed from 1856 to 1915 when it went bankrupt and out of business. Planet JR. 312, 12 inches long. Rare. Planet JR / K48 U.S. Planet JR / K48 U.S.A.
Are there any other variations in the K48 cutout? 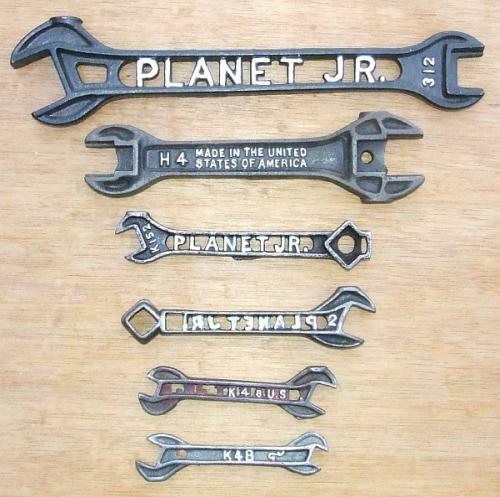 Planet Jr. #15, 16, 17, & 18 Single Wheel Hoe". 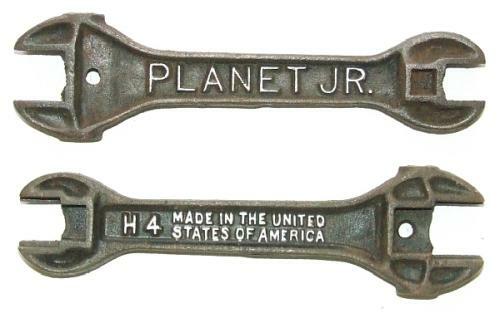 Planet JR. H4 Made in the United States of America, solid variant of the cutout of the same basic shape. Showing both sides. Planet JR. H4, solid variant of the cutout of the same basic shape. Showing both sides.